Savarez Classical Guitar Strings., Newark Musical Merchandise Co.
Savarez Classical Guitar Strings. Savarez 520B Low Tension Classical Guitar Strings are referred to as a "low" tension classical string set, but they are actually comparable to what other manufactures would call "normal" to "medium" tension. They contain treble strings incorporating plastic windings over a highly polished ("rectified") nylon mono-filament. The bass strings are made by winding pure silver wire over a nylon filament core, which produces a very low noise, squeak free string. 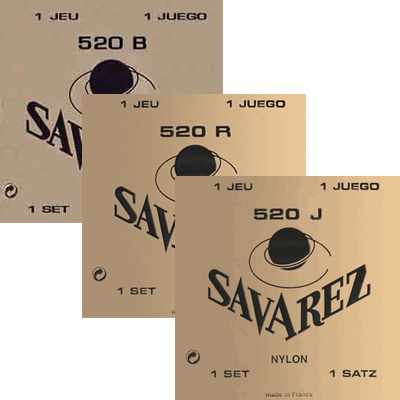 Savarez 520Bs are popular with performers who want a low noise string set, with rich and clear sound. Savarez 520R High Tension Classical Guitar Strings are a, high tension classical guitar strings from Savarez. Savarez 520Rs are a well developed and perfected string design utilizing quality materials and process to produce a very traditional and dependable classical guitar string set, with well rounded and even tone that clearly surpasses that of ordinary strings. The treble strings are rectified mono-filament nylon, while the bass strings are composed of pure silver thread wound on nylon multi-filament cores. The rectification process smooths and polishes the surface of the nylon mono-filaments, taking out any irregularities. 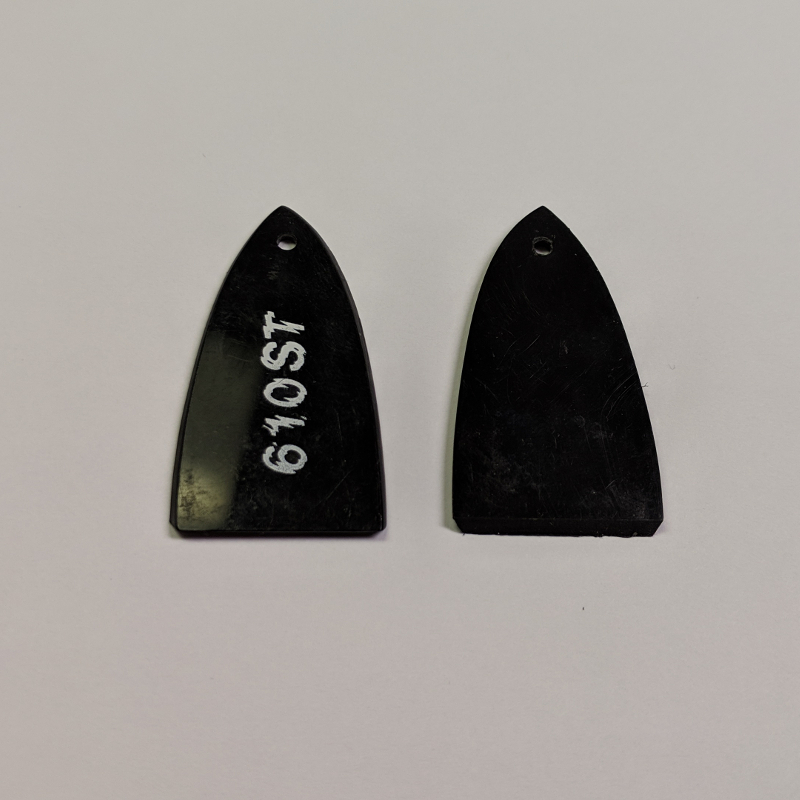 The wound strings are also polished to ensure they are as smooth and consistent as the trebles. The finished string is smooth and perfectly cylindrical, with a uniform diameter over its entire length. The end result is a set of strings that can be tuned more precisely, with more harmonics and overtones native to the string. The bass sounds stronger and deeper; not thuddy, but with more precision and definition than with lesser strings. Likewise, the treble strings produce sparkling clear tones, but are not overly bright.